The lineup of keynote speakers, panelists, and session presenters for the fourth Reform Symposium is almost too good to be true: Sugata Mitra, Steve Binham, Salome Thomas-EL, Angela Maiers, Steve Wheeler, Rafael Parente, Chris Lehman, German Doin, Chuck Sandy, John Spencer, Sue Waters, Jose Vilson, Nicky Hockly, Josh Stumpenhorst, Mark Barnes, Alec Couros, Carla Arena, Steven Anderson, Nicholas Provenzano, Ozge Karaoglu Ergen, Thomas Whitby, Jackie Gerstein, Silvia Tolisano, Pam Moran, Joe Dale, and SO MANY MORE. This free three-day event is being held in conjunction with Connected Educator Month and is focused on sharing transformative approaches to teaching and learning. It will all be recorded as well! 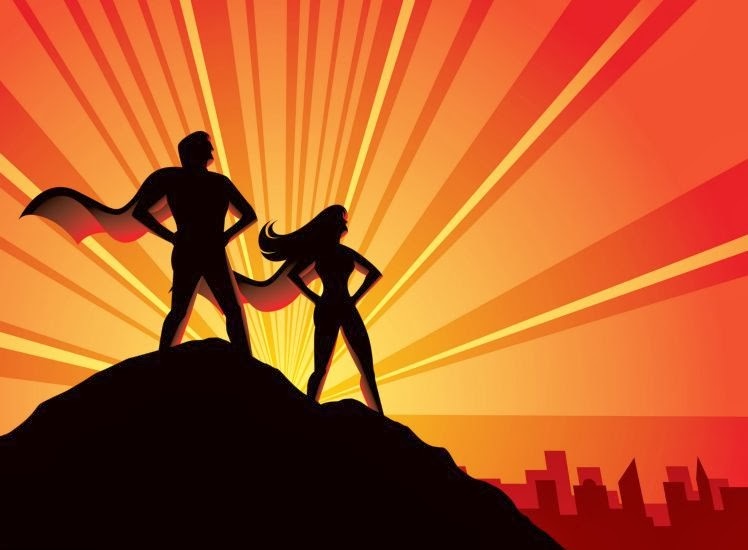 To say that our virtual conference volunteers are superheroes is not an exaggeration. It's also (we hope) not an exaggeration to say that the camaraderie and excitement of being part of the moderator team is a part of the magic of these conferences that you have to experience to understand. Both the 2013 Reform Symposium (go HERE) and Library 2.013 (go HERE) need your help! First-timers welcome, old pros super-appreciated. Thank you! Our third annual (of course virtual, of course free!) 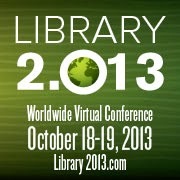 Library 2.0 conference, Library 2.013, is just around the corner. The conference session submission process for guaranteed presentation space closes today; submissions will be accepted on a space-available basis until October 11th. Great keynote speakers from all over the world, and just announced: a "Connected Librarians" pre-conference day on October 14th--more details coming soon. Sign up on the network for more information. 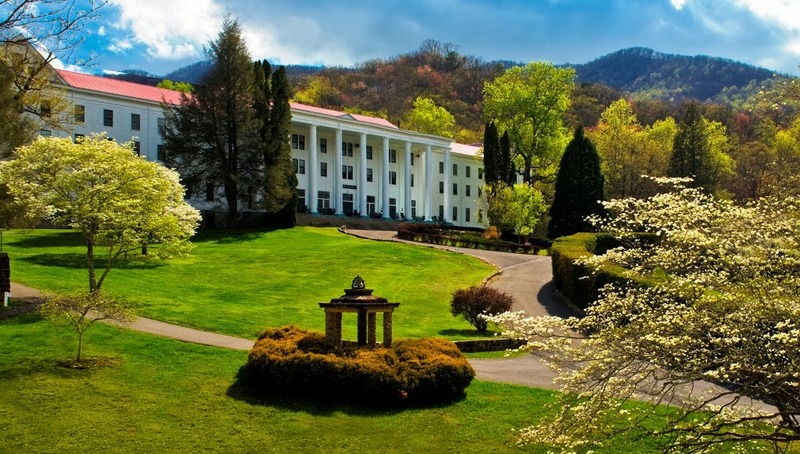 Join us in on the spectacularly beautiful campus of Black Mountain SOLE for a special unconference: ReinventED, the first collaborative venture between me and the Black Mountain SOLE organizers. This is an unconference they are organizing and I am facilitating to explore the purpose of education, new and old best practices, and alternative models for learning. It's not virtual, and it's not free, but hopefully you will still love it! Sugata Mitra, the originator of the SOLE idea (self-organized learning environment) will join us for part of the event. More information and the ability to sign up at the event page. COMING UP: the fourth annual Global Education Conference, November 18 - 22 (http://www.globaledcon.com). More information in the next newsletter. SPONSORSHIPS: want to sponsor one of these events? We love our sponsors. Contact Steve Hargadon at steve@hargadon.com or 916-283-7901.